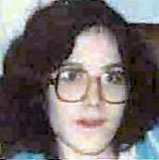 Medical Conditions Gayhart may have been pregnant at the time of her disappearance. Distinguishing Characteristics Caucasian female. Brown hair, brown eyes. Gayhart has a scar under her chin, faint scars around her nose and eye, and stretch marks on her abdomen from a past pregnancy. She wears eyeglasses. Two of her teeth are missing and she has fillings in two other teeth. Her ears are pierced one time each. 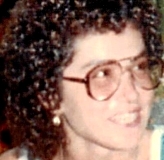 Gayhart was last seen in Cape Coral, Florida on March 21, 1985. 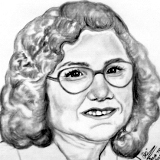 She had lived in Dansville, New York until 1984, when she and her boyfriend, Bob Paddock, moved a trailer to the 50 block of northeast Barron Way in Fort Myers, Florida. Her boyfriend's mother, Dorothy Rittenhouse, stayed with them. Gayhart regularly called her parents, and also communicated with her family by mail. Her last letter was to her sister, on March 4. She wrote that she would like her sister and brother-in-law to come down to Florida to visit. On the night of March 14, a neighbor heard an argument in Gayhart's residence, and the sound of glass breaking. Gayhart went to the neighbor's home, upset, and asked to use the phone so she could call her mother. She said she was pregnant and Paddock and Rittenhouse did not want her to keep the child, and that Rittenhouse had told her to leave and never come back. The neighbor saw Gayhart walking out of the trailer with a suitcase. Paddock rented an apartment after their argument. 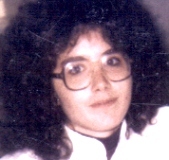 Rittenhouse said that a few days later, she bought Gayhart a bus ticket so she could return to New York, and went to a local bar to give it to her. They argued and Gayhart refused to accept the ticket. Rittenhouse said this was the last time she saw Gayhart. 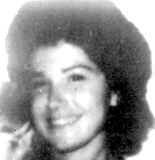 She subsequently wrote a letter to Gayhart's mother in New York, with a copy of the bus ticket, saying Gayhart was involved with drugs and alcohol and had disappeared, and that Rittenhouse was "not responsible for whatever happens." On March 19, Gayhart went to the Big Howie's Hot Dogs diner on southeast 47th Terrace in Cape Coral, Florida. She asked for a job and was immediately hired. She listed Paddock's new apartment as her address on the application, and told her employer that she and Paddock were not getting along. Gayhart walked back and forth to work over the next few days. On the night of March 21, after her shift, she got into a red pickup truck driven by an unidentified man. Her boss saw her and assumed she had a ride home. She has never been heard from again and she never picked up her paycheck. When questioned about Gayhart's disappearance, Paddock said he'd last seen her "sometime in the middle of March" and that she stayed with him sometimes but didn't actually lived with him. He stated she'd left a paper sack of clothes, as well as a file box containing a scrapbook with memories of her baby son, who had died. 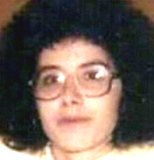 Gayhart was very attached to the scrapbook, and her family doesn't believe she would have left them behind. 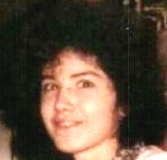 Foul play is suspected in Gayhart's case; there has been no sign of her since March 1985. New York authorities are investigating. Updated 8 times since October 12, 2004. Last updated May 12, 2017; date of disappearance corrected, details of disappearance updated.